When you’re suffering from sleeping problems, CPAP technology can help. Continuous Positive Airway Pressure or CPAP refers to a treatment using mild air pressure that continuously keeps the airways open. It results in proper breathing, most especially for people who are suffering from sleep apnea, which is a serious sleep disorder wherein the airway is blocked during sleep caused by relaxed throat muscles. In sleep apnea, the person experiences breathing difficulties, which causes sleep interruption. In this post, you’ll learn how CPAP technology works and its important benefits. CPAP therapy is an effective treatment for sleep-related breathing disorders, which involves using a mask or other breathing devices that fit over the nose and mouth. CPAP masks come in different sizes and shapes. You can choose from nasal masks, nasal pillows, and full face masks. A tube connects the mask to the motor of the CPAP machine, which blows air into the tube. The CPAP technology starts with the CPAP motor, which is a small compressor, drawing in air at room temperature. The CPAP motor has a replaceable filter to remove impurities and particulates. Modern CPAP machines have a water tank that heats the water, providing air moisture. That’s why the built-in humidifiers are recommended for people who live in dry or arid climates. It’s also applicable to those who usually wake up with a dry mouth, nasal cavities, and throat. With a high-quality CPAP hose, usually, 6 feet in length, delivers air into the respiratory tract. With gentle pressure, the CPAP motor provides the right amount of air pressure you need to clear airway obstruction. Most CPAP hoses are heated to reduce the accumulation of water condensation caused by the humidifiers. The doctor sets up the CPAP machine by adjusting the pressure settings. 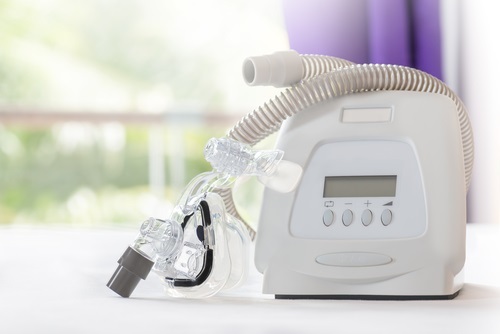 For the CPAP treatment to work, the CPAP machine should be used every time you sleep, during naps, and while travelling, so that your sleep will be more relaxed, akin to what is experienced with Twilight Dentistry, which induces deep relaxation during dental procedures. New technologies, like CPAP technology, improve your overall health and well-being. Immediate improvements after starting CPAP therapy include better sleep quality, less daytime sleepiness, and reduced or even eliminated snoring after some time. Also, you’ll gain long-term benefits using CPAP therapy, such as proper regulation of blood pressure, lower risk for stroke, and improved memory. Heart Disease: CPAP reduces your risk of heart disease as it treats sleep apnea, which is linked to different heart problems that can cause breathing cessations. Using CPAP therapy for an extended period protects your cardiovascular health, reducing the risk of congestive heart failure, irregular heartbeat, coronary artery disease, and stroke. Diabetes: By using CPAP in treating sleep apnea, insulin sensitivity improves. It’s because sleep apnea is linked to insulin resistance and glucose intolerance, which is why there’s a higher risk of type 2 diabetes in people with untreated sleep apnea. Safe Driving: You’ll become a safer driver because of reduced daytime sleepiness. Remember that untreated sleep apnea can get you in trouble, like a deadly car crash, because of poor concentration and a hard time staying awake. Improved Daytime Alertness: The most common signs and symptoms of sleep apnea are daytime fatigue and sleepiness. CPAP therapy restores your regular sleeping pattern. It also increases your total sleep time because breathing pauses are eliminated while you’re asleep. You will, therefore, wake up the next morning feeling more refreshed, and with a more energetic mind and body, you need throughout the day. Improved Concentration: Severe and untreated sleep apnea causes brain damage, which results in poor concentration and memory loss. CPAP treatment helps improve your ability to concentrate, make decisions, and think. Also, it enhances productivity and reduces costly mistakes at work. Emotional Stability: Sleeping problems can cause depression. With CPAP therapy, it helps improve your mood and your quality of life. Reduced Snoring: CPAP keeps your airway open, thus reducing or eliminating the sound of snoring, so your bed partner also benefits from a quieter sleep environment. Reduced Medical Expenses: Improve your health with CPAP therapy, and reduce the costs associated with medications and hospitalization required for various medical conditions, such as sleep apnea, stroke, heart disease, and diabetes. CPAP technology involves releasing continuous air pressure into the airways for better breathing while you’re asleep. By managing your sleep apnea with CPAP technology, you can improve your health and attain a better quality of life. CPAP therapy reduces or even eliminates snoring, prevents serious health problems, and lowers health care expenses.